The city of Mumbai faces unique challenges to provide best education to all categories of children belonging to rich, poor or moderate family background. Since Mumbai is one of the main cities of India, education in Mumbai is the biggest dream and highest priority among parents and students. 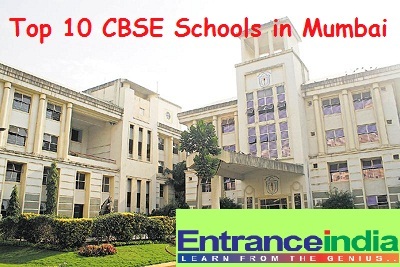 In accordance to that, Mumbai consists of larger number of Public, Private and International Schools that are affiliated to various education Boards of India such as Central Board of Secondary Education (CBSE), Certificate of Secondary Education (ICSE) whose curriculum is regularly updated according to the global trends. The CBSE schools in Mumbai have syllabus based on “Practical implementation” than just “Text oriented”. This makes the student to differ from ordinary Boards of education such as State board or Matriculation Board. Thus, let us take a look at the Top Ten CBSE schools and the facilities provided by each school. This school is affiliated to the Central Board of Secondary Education (CBSE), New Delhi and it offers nationally accepted common and challenging curriculum. The curriculum is designed according to the latest global trends in the education making the students to understand with the real world applications than just “Text Reading”. It sticks to the Continuos and Comprehensive Evaluation (CCE) curriculum of CBSE and it is followed from the classes IV to XII. Till Class III, CBSE-I is followed which is based on the international curriculum offered by CBSE to make learning in more innovative manner through experiments, real time examples, projects and so on. The subject options offered for the Senior Secondary students are Engineering Graphics, Political Science, Entrepreneurship, Media studies, Sociology along with the other regular subjects such as Physics, Chemistry, Biology, Mathematics, Computer Science, Accountancy and Economics. This school works closely with the “Google Education” and it is a Google App-certified school. Also, the School has participated in the “Learning Global Forum in Spain 2014” which has made Microsoft to confer this school with the “Microsoft School Mentor Award” globally. Facilities: The facilities offered within the campus of this school are Library, Modern classrooms, Canteen facility, Activity and resource room, playground and sports facilities, transport facility and so on. They also conduct several programs such as Avanti Young Women Leadership Program, Cancer Patients Aids Association, Social Empowerment through Work and Action and so on. You can find the application form in the official website. Please fill in the details correctly and submit it online. Please enter active mail id, active mobile number in the application form. This school was founded by Padmabhusan (late) Shri.K.J.Somaiya in the year 1959 with the aim of creating great citizens of India and know how to make a living successfully. At present, 32,000 students are studying in all the campuses of Somaiya Vidhya Vihar. The institutions in Mumbai are spread across two main campuses such as 50 acre campus in Vidyavihar, 35 acre campus in Sion-Chunabhatti. This school is affiliated with the Central Board of Secondary Education (CBSE) and this school follows this curriculum up to Class XII. There is also an alternate course for the Grades 11 and 12 students and it is called as “International Baccalaureate Diploma”. Several teaching methods such as traditional, broad based curriculum are implemented in this school. Parents who have registered online for the admission of Nursery classes for the academic year 2016-2017, please check the official website for any updates. However, admission is made only after interaction with the parents and students. For other classes, please check the site for any official notification regarding the admission details. This school is affiliated with the Central Board of Secondary Education (CBSE), New Delhi and it impacts academic excellence along with its value based education. At present, more than 3000 students study in this campus and each student is given individual attention and ample opportunities to expose their talents. Facilities: The facilities within the campus are staff rooms, library, auditorium, basket ball court, Medical rooms, audio video visual rooms, medical rooms and so on. Please check the official website for any admission notification for the next academic year. Registration form can be downloaded from the website between: 28/11/2015 to 7/12/2015. The duly filled application form must be submitted between: 30/11/2015 to 8/12/2015 along with the application fee of Rs.750/- drawn in the favor of “DELHI PUBLIC SCHOOL, NAVI MUMBAI” Payable at Navi Mumbai. This school was established in the year 1984 mainly to cater the educational needs of the children belonging to the Defense personnel and Army officers of India. They provide an environment in which the student can develop himself and become life-long learners and responsible person in the society. This school is also affiliated with the Central Board of Secondary Education (CBSE), New Delhi and has classes from I to XII. Several activity clubs are conducted for the welfare of the students such as nature clubs, music club, interacting club, sports activities and so on. This school has won many awards in Sports activities such as Sports Association Athletic meet and CBSE cluster Annual athletic meet. The students of this school are constantly achieving excellent academic records in AISSCE examination in recent years. Facilities: The school has excellent facilities such as Transport facility, excellent classrooms, canteen facilities, sports rooms, playgrounds, lab for science subjects and so on. Please check the official website for any official notification regarding the admission for the next academic year 2016-2017. First priorities are given for the children of Army Personnel, Army Widows and children of TA personnel who have minimum of 10 years of experience of embodied services. This is a day boarding co-educational school located in Andheri west in Mumbai and it is affiliated to Central Board of Secondary Education (CBSE), New Delhi. This school was began in the year 1982 and affiliated to the CBSE board in the year 1994. The first batch of Secondary students wrote AISCE CBSE X examination in the year 1996 and the first batch of senior secondary students wrote AISSCE CBSE XII examination in the year 1999. This school is inspired by the vision of making education a meaningful experience among the children. Facilities: The school has facilities such as Theatre hall, gymnasium hall, yoga hall, spacious classrooms, audio video rooms, computer rooms, mess hall, counselling centre, play ground and so on. This school has secured the highest score of 96.6% in AISSCE CBSE examination 2015. The admission for the next academic year 2016-2017 is yet to be announced in the official website of this school. Please keep on checking the official website for any further details. This school provides progressive studies and believes in best programs for education that will empower the students to lead a successful and productive life in this challenging world. This school trains the students to be best in the academics through active learning practices, creative problem thinking skills and critical thinking power. This school mainly aims to provide a diverse and stimulating environment for the students to grow and learn, improve their social development and enhances their self respect. The admission for this school is done on First Come Fist Served basis according to the age criteria. For Grade III onwards competency test is conducted to check the child’s academic skills. The subjects which are included in Class III and Class IV are English, Math, Social and Science. Hindi test is conducted from Class V onwards. Facilities: The school has many facilities such as Library, canteen facility, transport facility, auditorium, music hall, science laboratories and so on. The admission notification for the next academic year 2016-2017 is yet to be announced. Please check the official website for any further details regarding that. This school was founded in the year 2003 from the Soham Foundation by Mr.Chaitanya N.Parekh, an entrepreneur and man of vision. This school mainly teaches the students beyond the classrooms making him all round developer. They are trained not only in academics but also in many co-curricular and extracurricular activities, club activities and sports events. Facilities: Ventilated classrooms, Auditorium, Music hall, Library, Laboratories for Physics, Chemistry and computer science, Transport facility, yoga hall, playground, indoor games facilities and so on. The school website has separate login for parents to be updated about their children, online fee payment system, circulars and important instructions to parents and so on. Admission notice for the Nursery level has been displayed in the website. The child must be born between June 1st, 2012 and July 31st, 2013 for the Nursery admission. Please fill in all the details clearly and correctly. Now submit it online and please make a note of the form number and password for the future reference. Parents of the selected students are called for an interactive session along with the students. Students are finally selected after the interaction session and personal interview. Orchids International School (OIS) is a chain of International schools located at various places in India such as Mumbai, Bangalore, Pune and Hyderabad which aims to set a bench mark in providing holistic education across India. These schools in Mumbai, Bangalore, Pune and Hyderabad have excellent infrastructure with smart classrooms, laboratories with built-in audio video systems, excellent faculty members and so on. These schools follows CBSE, ICSE and IGCSE curriculum. Facilities: This school at Mumbai Masjid Bunder consists of facilities such as swimming pool, well ventilated classrooms from pre-primary level, Infirmary, karate class, Keyboard class, Guitar class, Library, skating rink, Tablet lab, etc. The student’s strength per class is small and thus teachers will be able to concentrate on each student individually. Orchids believe in integrating the best International methods with traditional Indian values. Until Grade 7, the academic system merges with various Boards of Education such as CBSE, ICSE and IGCSE. From Grade 8 onwards, CBSE syllabus is followed in all the branches of Orchids school. Admission for the upcoming academic year 2016-2017 has been announced in the official website. This school was founded in the year 1953 by Shrimati Gopi Birla for girls to equip themselves to the fastest changing society along with firm rooting in the Indian cultures and values. Her guiding spirit has made this school as one of the Best schools for education in India. In 1970, this school was affiliated to Central Board of Secondary Education (CBSE) and later in 1977 permanent affiliation was provided for this school up to grade X. They have been provided provisional affiliation to the CBSE board for the Senior Secondary classes (Class XI and Class XII) from 2012 onwards. It is a co-education school and it is part of Yash Birla group at present. The subjects included in the primary level (Class I to Class V) are English, Hindi, Marathi/Sanskrit, EVS, Math, Science and Social studies. The subjects included in the Secondary level (Class VI to VIII) are English, Hindi, Marathi/Sanskrit, EVS, Math, Science, Social studies and computers. Facilities: This school is a six storied building which consists of all possible facilities for the students as well as teachers, separate labs for Physics, Chemistry, Biology and Computer science, Library with more than 45,000 books on every possible subjects, air conditioned multipurpose hall, Foot ball and Volley ball courts and so on. Admission procedure for the nursery level is open now. Online registration does not guarantee admission into the school. Students must take further interviews or written test once called for the admission process. This is a co-educational school with classes I to XII and it is affiliated with Central Board of Secondary Education (CBSE) New Delhi. This school was started in the year 1989 by Mrs.Krishna Jain who was President of Naval Wives Welfare Association. This school is run by the Navy Education Society and administered under the Headquarters, Western Naval Command. This school has become one of the leading schools in India which serves to cater the education needs of the children belonging to the Navy community. They strive hard to provide best holistic education to these children and make them into bright and creative minds. This school has achieved highest aggregate in CBSE XII Board examination and has been awarded by the Navy Education Society and NCS. Facilities: The school has facilities such as Smart classrooms, Separate labs for Computer science, Physics, Chemistry and Biology, Transport facilities, club activities, and resource centre and so on. The admission notice is made in the month of February or March every year. Please fill the application form correctly and submit it within the last submission date.